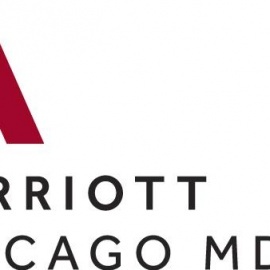 Experience the benefits firsthand of the beautiful renovation of the Chicago Marriott at Medical District/UIC when you stay at our hotel's spacious accommodations in the Near West Side of Chicago. 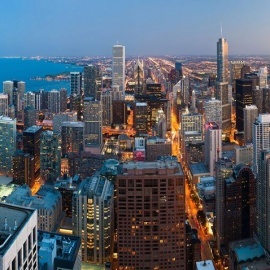 We are conveniently located near many of the area's top business and medical sites including the Veteran Affairs Office, Jesse Brown VA Health Center, United Center, and the UIC and Rush Medical Centers. Every guest room in our hotel on the Near West Side of Chicago offers an atmosphere that is stimulating and comfortable. To satisfy the business needs of travelers, our desks include an advanced Jak Pack to keep you connected. Throughout the lobby, exclusive design elements were implemented to develop Marriott's Signature "Great Room" concept: a delightful place to work, socialize or just relax. 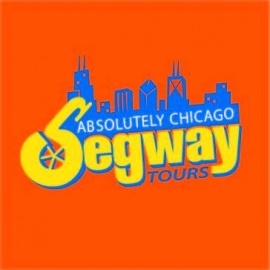 Our Marriott hotel in Chicago also makes travel easier with a complimentary shuttle service to all destinations within 1 mile of our property. We look forward to welcoming you with impeccable service and friendly smiles.